Our mission at Latin American Literature Today is to provide readers and writers with access to outstanding examples of contemporary Latin American literature, both in English and in Spanish. 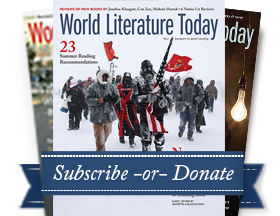 As an affiliate of World Literature Today, we seek to carry on our parent publication’s commitment to revealing great writing on an international scale, with a particular focus on the vibrant, multifaceted literary production of modern Latin America. In pursuit of this goal, we will publish both translated material from the pages of World Literature Today and exclusive original content, generated by a wide network of collaborators throughout Latin America and the United States.